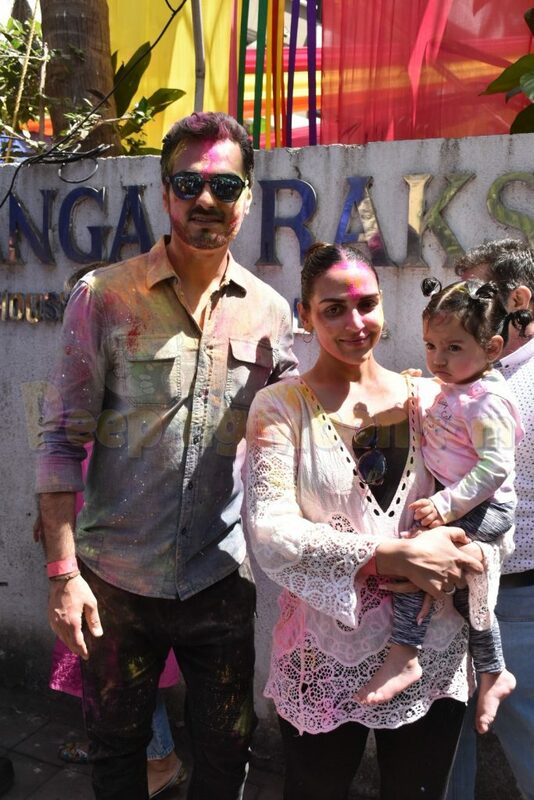 Second-time mommy-to-be Esha Deol Takhtani celebrated Holi with her husband Bharat Takhtani and daughter Radhya Takhtani. Esha, Bharat, and Radhya made for a picture perfect family as they posed for the shutterbugs happily. 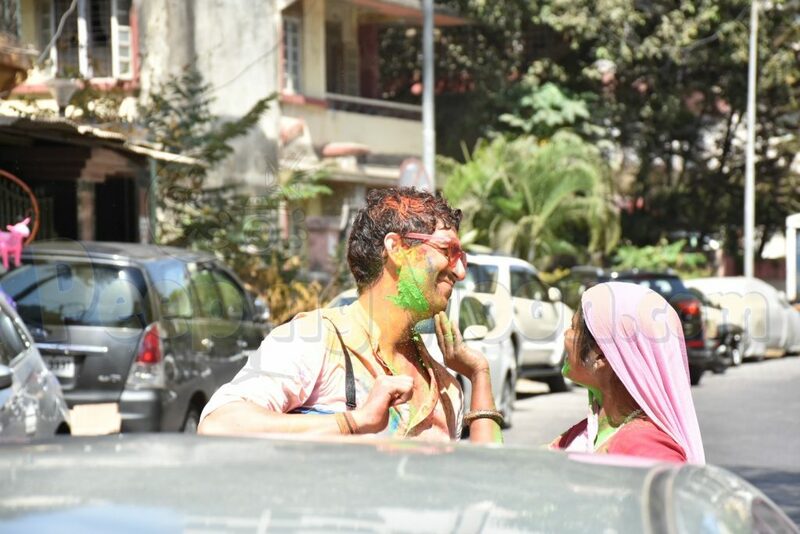 Joining their celebration were Ayan Mukerji and celebrity stylist Tanya Ghavri. 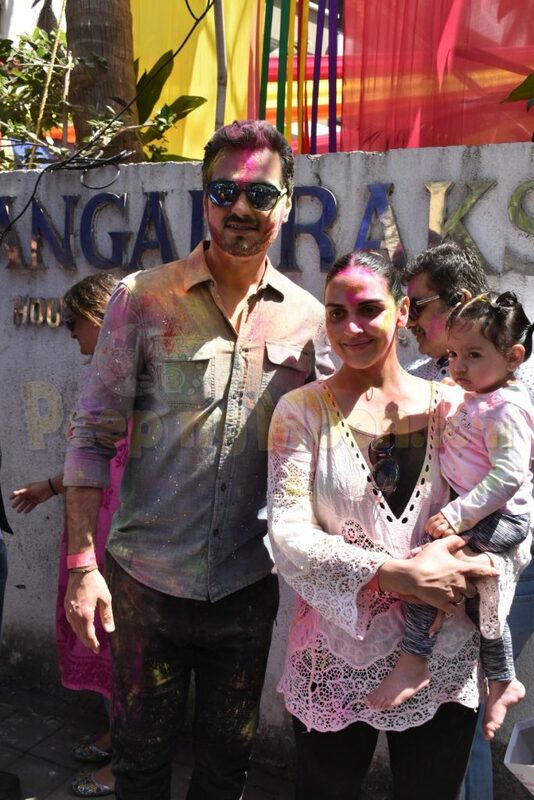 Smeared in colours, Ayan and Tanya posed for the paps. 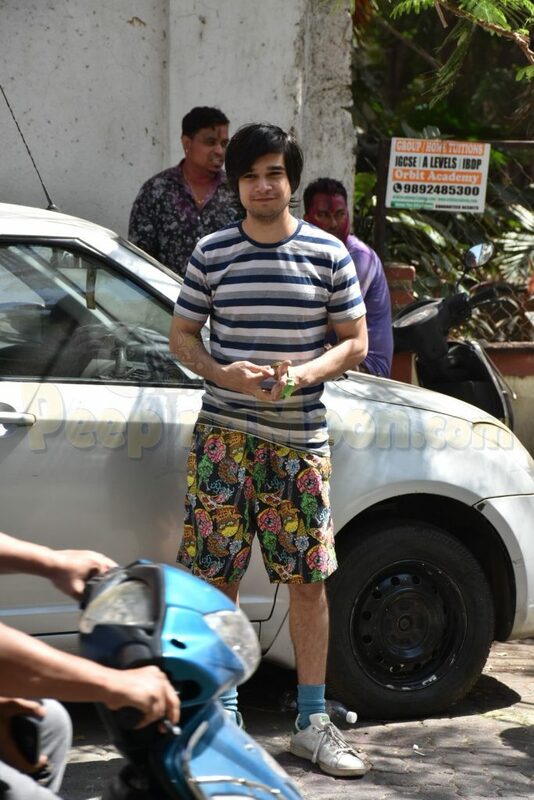 Vivaan Shah and Rannvijay Singha also attended the Holi celebration at the Takhtanis'. Esha and Rannvijay worked with each other in Roadies.